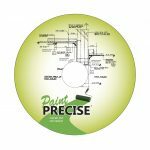 Paint Precise Estimating Software CD looks like a simple to use Microsoft Excel spreadsheet. You will see however it is much more than that. Especially relevant, you can also take advantage of the database library that is linked to the spreadsheet. More than that, built-in formulas pull information from the database and insert the production rates, labor rates, material costs and equipment costs into your bid for you. You simply have to enter your takeoff quantities and the codes for Labor, Materials and Equipment. You next may enter any other miscellaneous items you choose as well. Most of all, Paint Precise takes it from there and calculates all the math for you, adds overhead and profit and totals it all up. Consequently, you save hours of bidding time, compared to other programs. 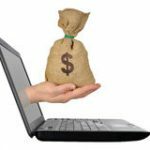 Worth noting is the fact that after you have done just a few bids you can generate proposals from hundreds to millions of dollars in 30 minutes or less. 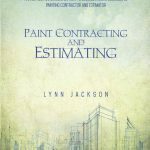 As a result, I have personally used the Paint Precise Estimating Software for years, averaging 15 to 20 million dollars in bids per year. Most of all, my sales stats averaged a volume of 3 million dollars per year. 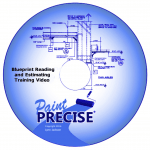 This program is an excellent component of the Paint Precise system of tools, accompanied by the book Paint Contracting and Estimating and my one hour training video Blueprint Reading and Estimating. In conclusion, if you want to go to the next level, the Paint Precise system can help you get there. Paint Precise is completely customizable to fit your business. Noteworthy is the fact that you can add work items, materials, equipment and change production rates and costs to suit your needs. Order a copy to be shipped now!